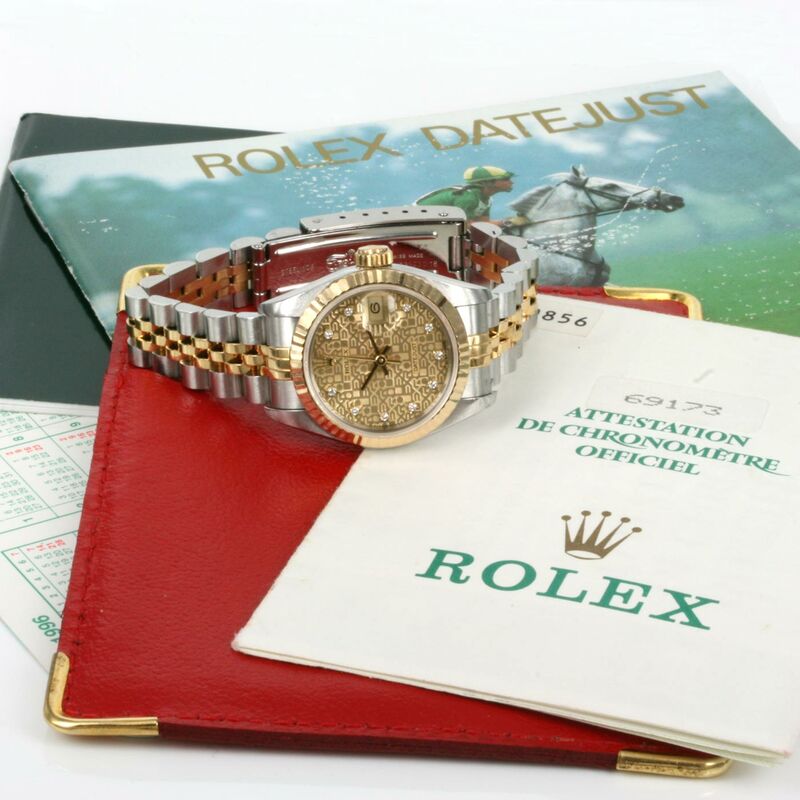 Product code: Q700 Categories: Sold Items, Sold Rolex Watches. 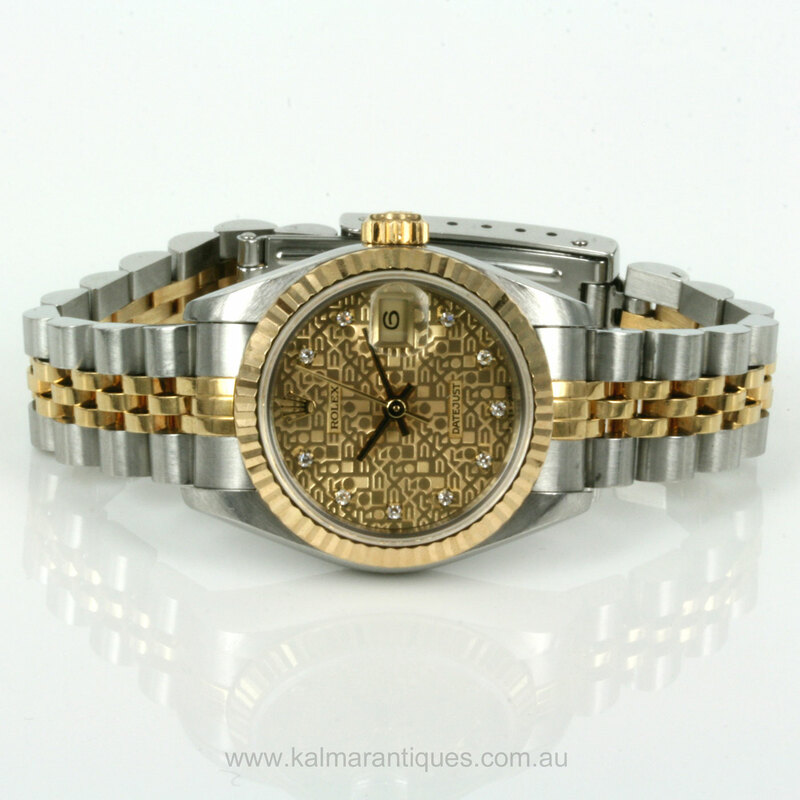 Here is a magnificent ladies Rolex Datejust model 69173 diamond dial with the very sought after and hard to come by Rolex Jubilee dial. The Rolex Jubilee dial looks magnificent with the word “Rolex” repeatedly written across the dial itself and making this Rolex Jubilee dial even more spectacular are the 10 diamonds set onto the dial to add the right amount of sparkle to an already great looking Rolex watch. Made in 18ct yellow gold and stainless steel, the case measures 26m across plus the Rolex screw down crown and is fitted with the sapphire crystal. Fitted onto the 18ct yellow gold and stainless steel Rolex Jubilee band, the band as well is in fantastic condition. Complete with its full Rolex papers and box, this ladies Rolex watch is very easy to wear day or night thanks to the gold and steel combination and looks magnificent with the Rolex Jubilee dial and set with diamonds certainly gives this elegant Rolex watch even more class and style.